Thank You very much for creating us. We are Your Masterpieces. I feel Your Job each moment of our life. I see Beauty of life. I enjoy Harmony and Love of life. I promise to myself to write a post every day even I think I have nothing to write. I keep the promise. We are watching a nice cartoon “Tinker Bell” now. It is so beautiful. We have a great pleasure. My daughter adores the cartoon. My husband has just returned from his job. I hope his day was good. We are playing with Margo. 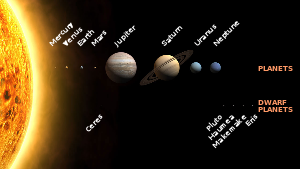 The game is “What the planets do you know?” So in our Solar System we know 8 planets: Earth, Venus, Mars, Saturn, Mercury, Neptune, Uranus, Jupiter. We have a very happy family evening.